Hope Church Wymondham’s new building The Hub is the host of the worship event “Presence”. This unstructured evening enables all to encounter Jesus and praise Him through song and prayer whilst soaking in his presence. These nights are open to all Christians who are hungry to experience God’s presence more in their lives. 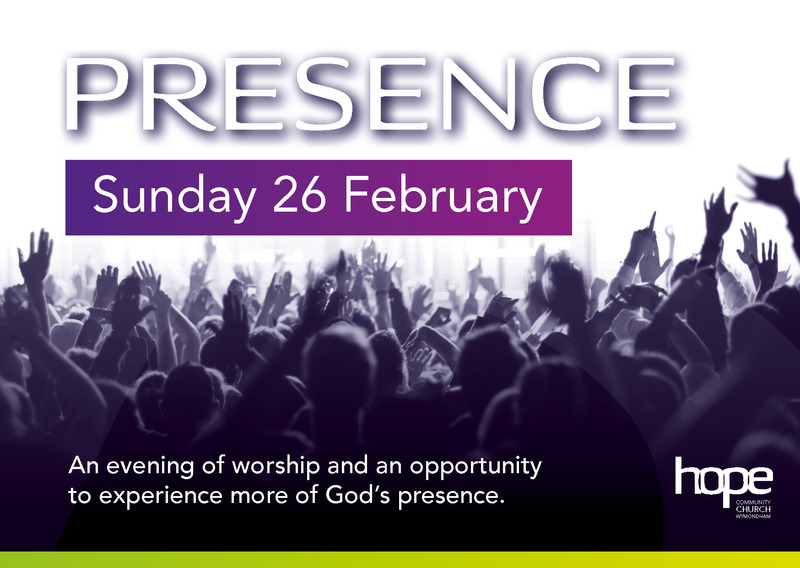 The next Presence event is on Sunday 26th of February at The Hub, Ayton Road, Wymondham, NR18 0QJ. Doors open at 7:00pm for refreshments and worship starts at 7:30pm.